decorated by area artists, throughout eastern Pennsylvania. The proceeds benefited local charities. "Marshall Law" was created to commemorate the history and architecture of her home town, Newtown. 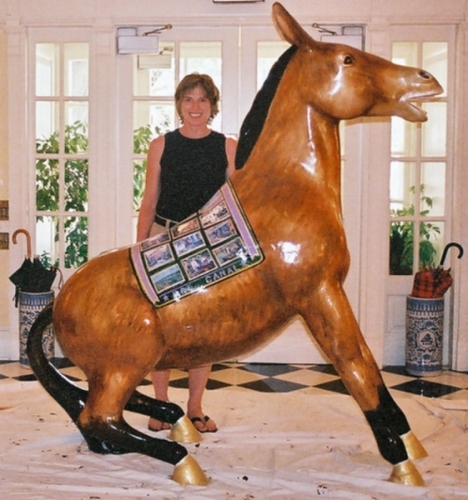 Reproductions of her original watercolors decorated her mule.